Your treasure hunt ends here. 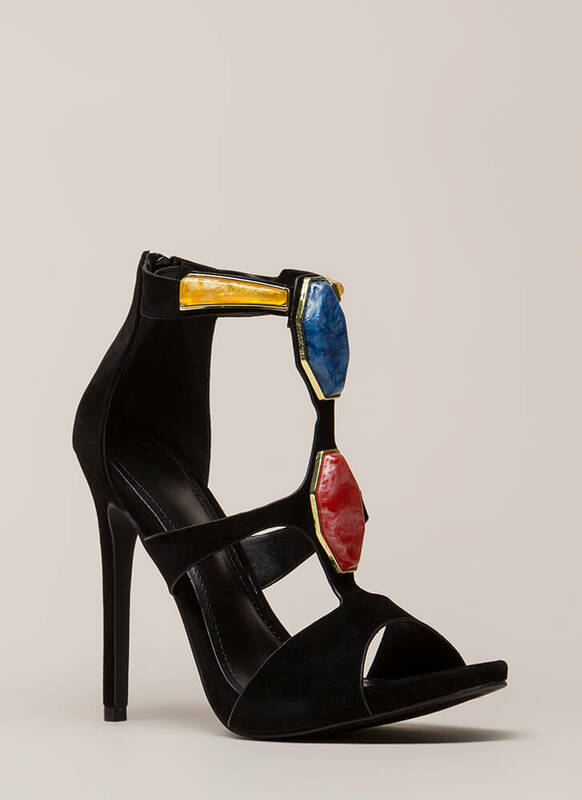 This is the jewel you've been searching for... Open-toe vegan suede heels a caged design that includes a scooped toe strap, side cut-outs, and marbled, oversized, faux gem embellishments. Shoes are finished with a stiletto heel, a ridged sole, and a rear zipper for easy on and off.